There’s something wonderfully, addictively frustrating about Threes, the award-winning game that has an award-winning imitator (looking at you, 2048) is now available to play in a browser-based version on the desktop. So, don’t expect to get anything else done today. For those of you who are smugly looking at Threes, bringing tons of wins from 2048 under your belt, do not be fooled. 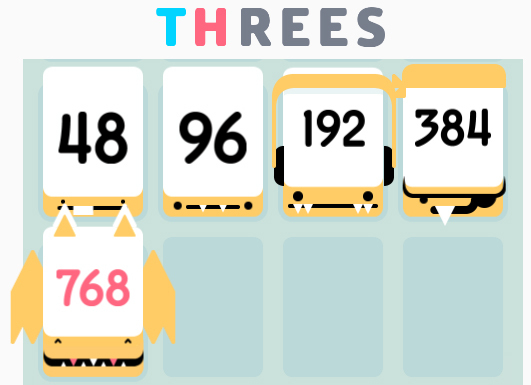 Threes is a much harder game and requires a lot more strategy to reach the higher numbers. While the computer keys will certainly mitigate the chance of swiping your numbers in the wrong direction, it doesn’t make it a slam dunk. If you’re ready for a challenge (and throwing away the rest of your Friday), click at your own risk.